Explosions have been becoming more frequent (now 12 during the past day vs a previous average of only 5). They produce light gray ash plumes drifting south and SE for about 5 km. The lava flow is still weakly active, but was only 150 m long this morning. Yesterday seems to have been a more "explosive" day at the volcano. INSIVUMEH reports 9 with ash columns up to 500 m height and drifting 6 km west and SW. As a response to the more explosive nature, it seems that the rate of effusion feeding the flow has dropped. The flow decreased to only 200 m length this morning. There have been no explosions or ash emissions during the past 24 hours. AActivity remains low although the lava flow towards the Taniluya canyon is still active, 600 m long today. Incandescent blocks rolling from its front reach the edge of the vegetation. During 24-25 Jan, it was not possible to observe the activity, but rumblings generated by explosions were heard. The lava flow length this morning was 800 meters, in southwestern direction. Activity has remained mostly effusive; the lava flow increased to 900 length this morning. Only few weak explosions occurred since yesterday. Activity remains low and mainly effusive.  The lava flow has increased to 800 m length. Only a few explosions occurred since yesterday with ash plumes rising about 300 m.
Activity remains low and mostly effusive. There were 7 weak strombolian explosions during 19-20 Jan. The lava flow has increased to 600 m length on 20 Jan morning. Activity has been decreasing with fewer) explosions (only 2 weak ones during 14-15 Jan) and the lava flow reducing its length to 300 m.
No significant changes in activity have occurred. Weak and infrequent strombolian explosions accompany the slow extrusion of the lava flow, 600 m long on 10 Jan morning. Weak strombolian activity can be seen at night. Ash plumes from these explosions rise about 400 m above the crater. The lava flow on the SE flank remains active and had a length of 800 m yesterday morning. 8 weak explosions with ash clouds reaching 3-400 m above the crater, and accompanied by faint rumblings were observed during 2-3 Jan. The lava flow toward Taniluya canyon decreased to a length of only 300 meters. Activity has remained stable and mainly effusive. There are few weak infrequent strombolian explosions (8 during 31 Dec-1 Jan) generating small gray ash plumes rising up to 400 m, and the extrusion of the lava flow towards Taniluya canyon, 500 m long yesterday morning.